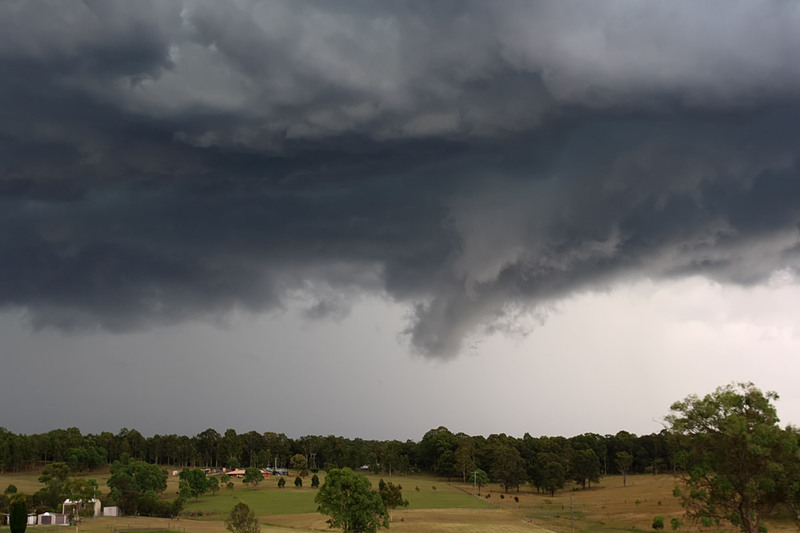 Desperate for a chase in yet another dry and moisture starved Spring myself and Steve targeted the a Hunter Valley setup today (4 hours distant). 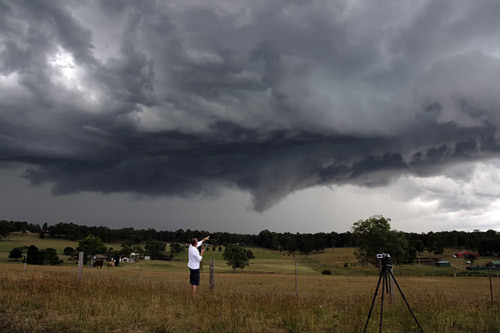 The Hunter Valley is renown for turning on storms against the odds. 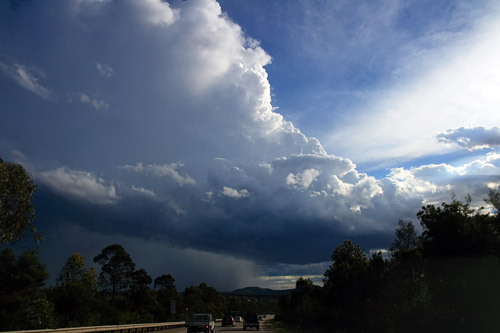 This is partially due to heat build up in the upper Hunter, but also often just slightly better moisture. It took a while for things tp get going, but we were rewarded finally. 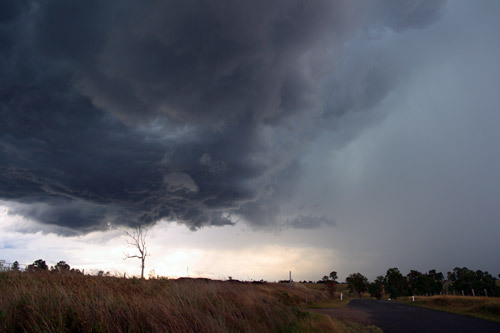 Here at Branxton we are about to engulfed by strong wind and hail . 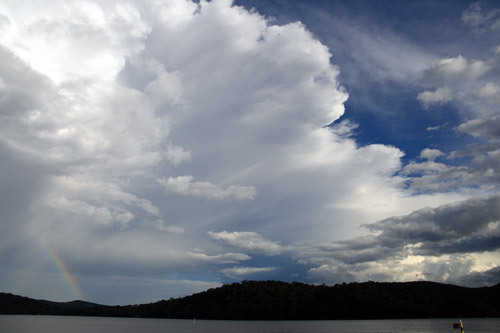 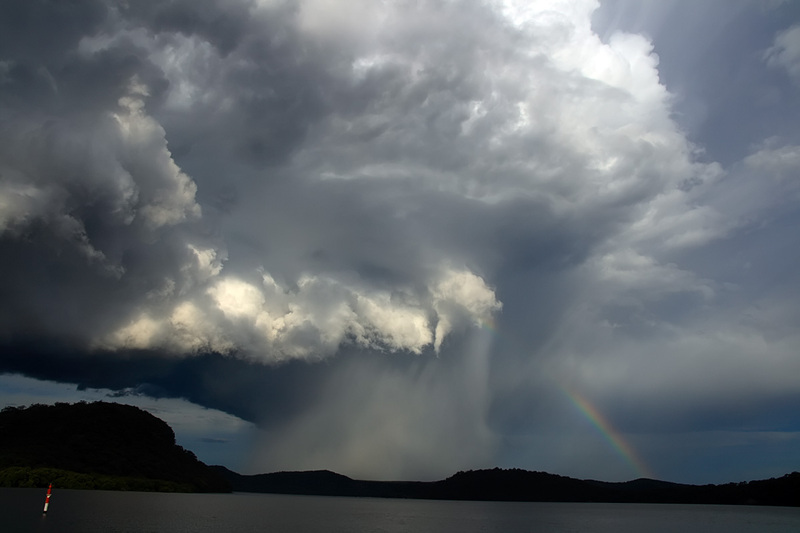 Just north of Sydney near the Hawkesbury river an isolated cell quickly built into the sky. We thought for a brief while that we may have been able to intercept the storm, but it moved east of the only road . Note the mid level funnel cloud. The video below shoes clear rotation. It was quite an impressive anvil from a relatively small storm.